People of Sligo, my film SHTAX will play this week as part of a pretty exciting festival of events taking part in the town. 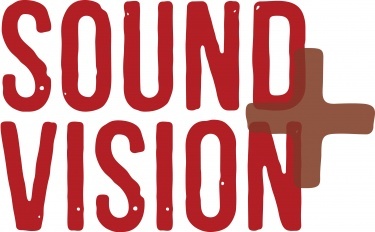 SOUND+VISION is a film festival devoted to music films and we are thrilled to be showing the film in some illustrious company. The film is on this Friday 18 Nov at 6pm in the model. The film is a lot of laughs and if you go you’ll really enjoy it. The festival will open this week at The Model, Sligo on November 16th with the Irish Premiere of Susanne Rostock’s, Sing Your Song about the ‘King of Calypso’, Harry Belafonte Jr. The Festival runs from November 16 – 27 and will feature over 40 events centring around the music film genre. The programme includes concert films, musical documentaries, films which popularised major movements in music history, films defined by their soundtracks and landmark moments of musical and cinema history and will be opening on November 16th with the Irish Premiere of Susanne Rostock’s, Sing Your Song about the ‘King of Calypso’, Harry Belafonte Jr.
Two very special live music performances feature in the programme. Wavetrain, an exciting new chamber duo, will be performing among others, the work of Olivier Messiaen, together with a screening of a film based on his work, The Crystal Liturgy: Oliver Messaien on Sat November 19. The performance will also feature the world premiere of The Whitening a new piece by Irish Composer Siobhan Cleary based on the W.B. Yeats poem “Cap and Bells”. Choice Music Prize Nominees Dark Room Notes will perform a specially composed score accompaniment to the silent film classic The Lost World, followed by a special late night club with sound and visuals by Donal Dineen’s Parish project featuring Congolese guitarist Niwel Tsumbu, Amina Dastan of Madu and Liam O’Maonlai on Sat November 26. Other highlights of the programme include Inni, Sigur Rós, Pearl Jam Twenty, Melancholia from Lars Von Trier and Martin Scorsese’s The Last Waltz. Musical Documentary Director Tony Palmer will be introducing the Irish Premiere of Leonard Cohen: Bird on a Wire, one of two of his films being screened at the Festival and Dark Room Notes will be performing a Live Score to the silent film classic The Lost World. A special Family Season of Film Screenings also includes animated films such as The Jungle Book and The Gruffalo and children are encouraged to dress-up and sing-along. A series of free animation workshops, including stop-motion animation, will be held during the festival ensuring there will be something for all ages to enjoy. Sound+Vision is one of a series of collaborations between The Model and Cinema North West.